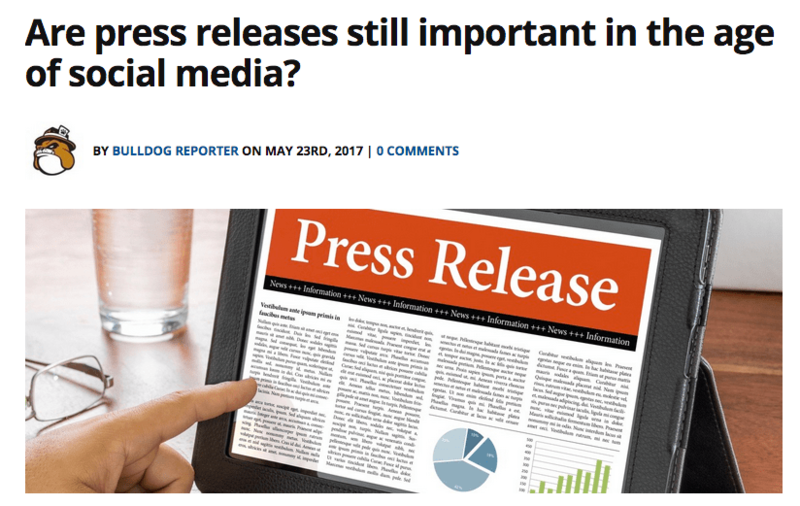 Agility PR recently offered a quick summary of the continuing role press releases play even as social media dominates the slot occupied by traditional marketing and advertising. While listing the usual suspects – controlled messaging, precise targeting, detailed facts and contact information – the article also makes the very good point that press releases are first and foremost an announcement, not to be confused with the offhanded SEO role far too many assign them. Stuffing a press release with nothing but keywords – a practice Google has for some time now disavowed as effective, and in some cases of overuse even destructive when it comes to rank – is attractive only if you’re a bot, as opposed to a real person looking for relevant info. While many make the case for text only press releases, utilizing the same information as part of a properly prepared PDF can pay lasting dividends well into the future. A PDF’s structure allows for significant metadata to be included in the document, with the added benefit of layout, formatting, and content based visual appeal that’s otherwise impossible to achieve with the typical press release. The article concludes with the observation that traditional press releases should work with, and not be excluded from, a client’s social media marketing plan. I agree with this approach, as well as the opportunity it presents for a well-designed release to be launched strategically for years of lasting benefit. This entry was posted in public relations and tagged PDF, press release, seo on May 23, 2017 by John Siebenthaler. Several years ago I put together an easy to follow guide that offers solutions for three of the most common errors made by DIY publicists. Since then I’ve noticed a significant increase in the number of powersports announcements distributed under the hi-jacked heading of FOR IMMEDIATE RELEASE! So poorly constructed they’re cause to wonder if a Kazakhstan goat herder isn’t ghost writing for the crowd source marketplace, they neither inform nor promote. No offense to my herder friends. There’s a phrase common enough to pr practitioners (hack) that’s either a label of shame or badge of some distinction, if only among peers. Without naming names – and, sadly, you probably don’t know who you are – I’m gobsmacked at what the aftermarket seems willing to accept under the guise of published, presumed to be positive, information about products, services, and events by the former. This isn’t about the errant comma, occasional misplaced modifier, or missing apostrophe. I’m raising the alarm over the wholesale abandonment of fundamental principles of grammar, any notion of style, and the essentials of literacy. Who needs complete sentences when an odd lot assortment of disjointed words strung randomly together into incoherent phrases passes as sense. I’m usually not a hard-core stickler for AP style, but. The increasingly sloppy gibberish masquerading as product praise not only offends my professional eye, but to the point does serious damage to a manufacturer’s online reputation and in-store brand. Unless, that is, the brands footing the bill think LOL ridicule is a desirable goal. And it’s permanent. Once published to the web, these unintentional examples of no-talent hilarity circle the internet forever, ghost ships of puff piece silliness showing up on Google search “doh!” in perpetuity. If you can’t hire a pro – and by that I mean someone possessed of a) basic writing skills and, b) a fundamental understanding that English, not Farsi, is North America’s marketing lingua franca – please take advantage of my basic tips for improving reputation and readership. This entry was posted in brand management, graphic design, powersports, public relations and tagged marketing, motorcycle, powersports, pr, press release, public relations, publicity on March 29, 2012 by John Siebenthaler.